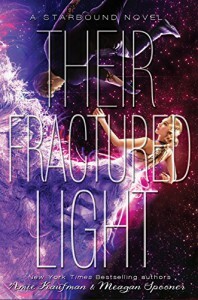 I really enjoyed These Broken Stars, and I’m pretty sure all of us can say that the first book in the Starbound series was definitely the best of the three. This Shattered World actually wasn’t that bad. I mean, it wasn’t as good as the first one, but whatever. I’ll get past that. The romance wasn’t bad, although the storyline seemed dragged out, I figured that you know, we don’t need to criticize, right? And then this book came along. The love story in this one was a tad bit too much, to be honest. You’re telling me that after just sleeping together, Sophia and Gideon are true lovers?! Why would they even sleep with each other if they never trusted the other person?! It felt too insta-lovey and that was just one difficult aspect. Basically, everything meant to happen between the “good guys” and the “bad guys” was all shoved into this one book. I’m not really sure where to even go with this. The villain was extremely downplayed from the first book, and don’t even get me started on that whole Lilac phase. I, personally, believe that books centering around the concept of destiny, can either be really well done, or just look plain sloppy. In my opinion, for Their Fractured Light, this just seemed like a way to wrap things up. Hugely disappointed, and I found a lot more things I didn’t like in this book than what I did.